Blip.fm is internet radio made social. It's easy to search for, play, and discover free music recommended by real people. Join today to create your own free station and start listening to @Phoenixbird. 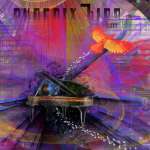 Phoenixbird You may experience weightlessness while moving around in zero-g while listening to Space-Rock music from God Is An Astronaut's "The Last March"
Phoenixbird The Tubes... What Do You Want From Life? Phoenixbird Wonderful Joy... from Ott's "Joyful Wonder"